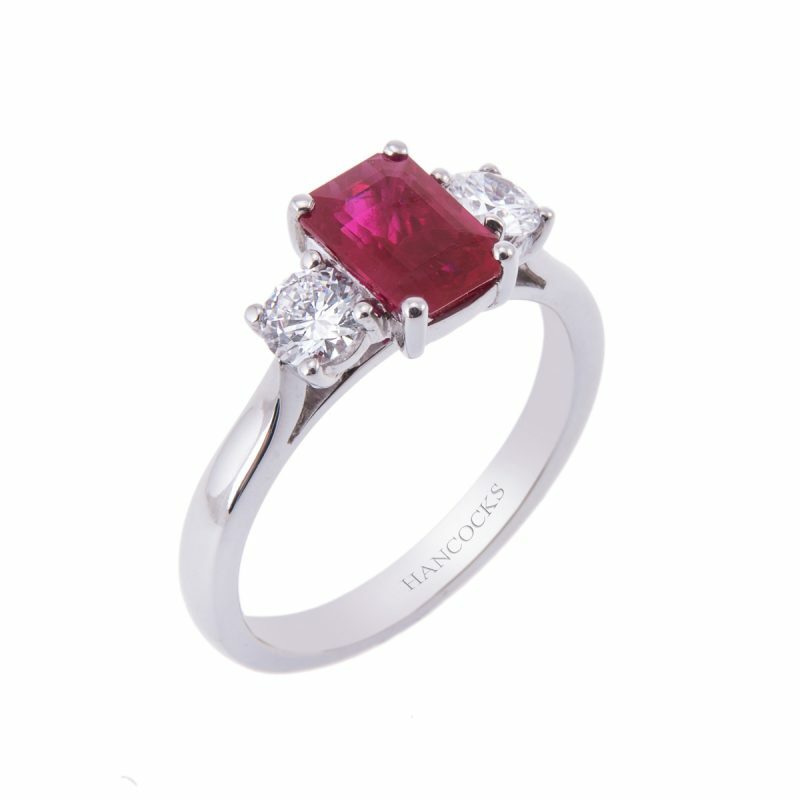 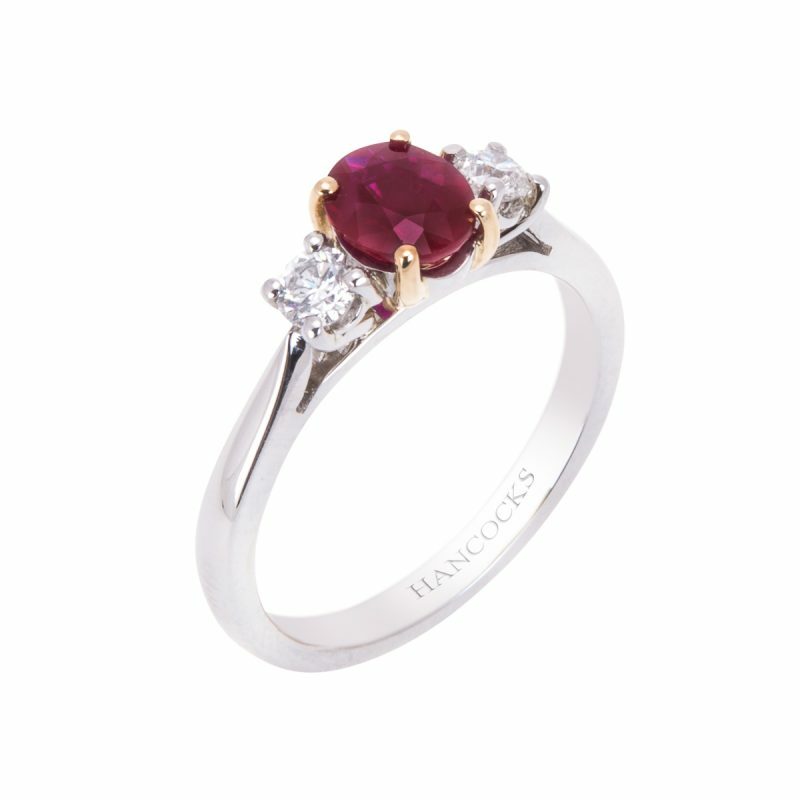 An oval cut ruby, its distinctive vibrant red colouring glitters with in its 18ct gold 4-claw setting. 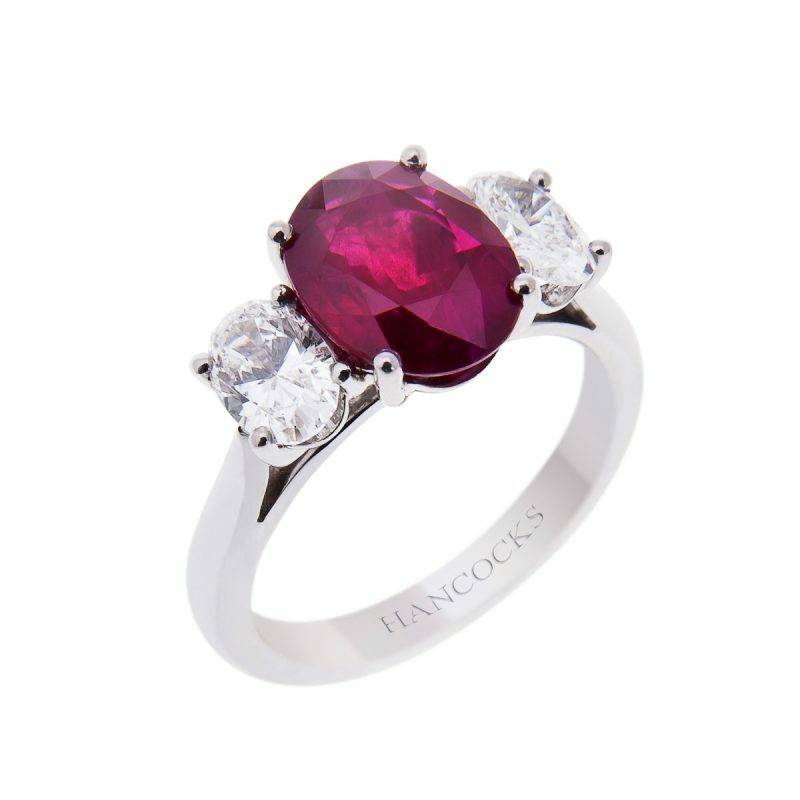 Two matched pear cut diamonds. 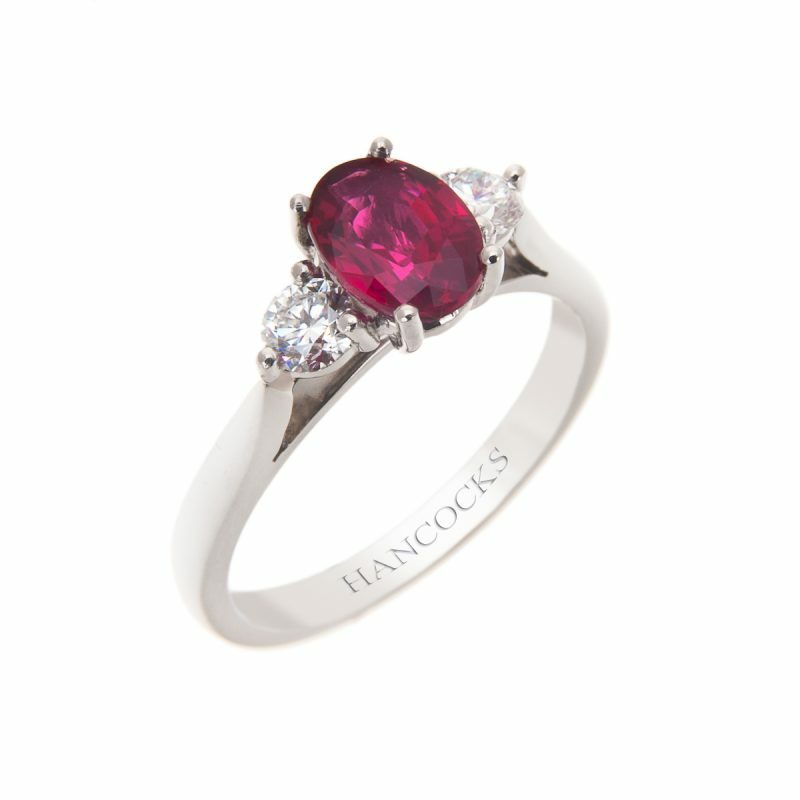 Mounted in a platinum setting claw setting, securely holding the central gemstone, with grain set diamond halo and shoulders.